Penn recorded a 14-7-1 record this season, including a 9-1 record on Franklin Field. They again experienced a series of rainouts, 4 to be exact, that possibly could have boosted their win record a bit higher. Overall however, they represented Penn very well and scored an average of 10.4 runs per game. 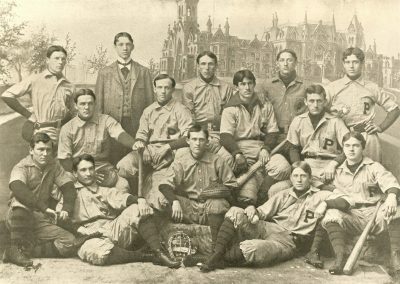 Two players from this team, Coogan and Goeckel, went on to play professional baseball. Note that the list of team members varies slightly from source to source. Included here is everyone named in the 1895 yearbook, the Athletic Association history of Penn athletics published in 1913, or both.